Some people think the Old Testament has nothing to say about God as our Father, or about the Holy Spirit, whilst others try to find Jesus somewhere on every page of the Old Testament. Chris Wright brings a much-needed corrective to these misconceptions in his masterful three-in-one volume, Knowing God – The Trilogy. After exploring the identity and mission of Jesus in the light of the Scriptures he knew so well – our Old Testament, the book goes on to see how God reveals himself as Father in the same Scriptures, and works powerfully through his Spirit. Wright’s thoughtful and engaging exposition of multiple biblical texts invites us to encounter the Trinity not just as a doctrine we affirm but as persons we can know. 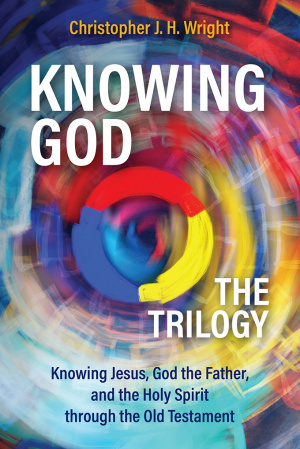 Knowing God - The Trilogy: Knowing Jesus, God the Father, and the Holy Spirit through the Old Testament by Christopher J. H. Wright was published by Langham Global Library in August 2017 and is our 52304th best seller. The ISBN for Knowing God - The Trilogy: Knowing Jesus, God the Father, and the Holy Spirit through the Old Testament is 9781783688968. Be the first to review Knowing God - The Trilogy: Knowing Jesus, God the Father, and the Holy Spirit through the Old Testament! Got a question? No problem! Just click here to ask us about Knowing God - The Trilogy: Knowing Jesus, God the Father, and the Holy Spirit through the Old Testament.